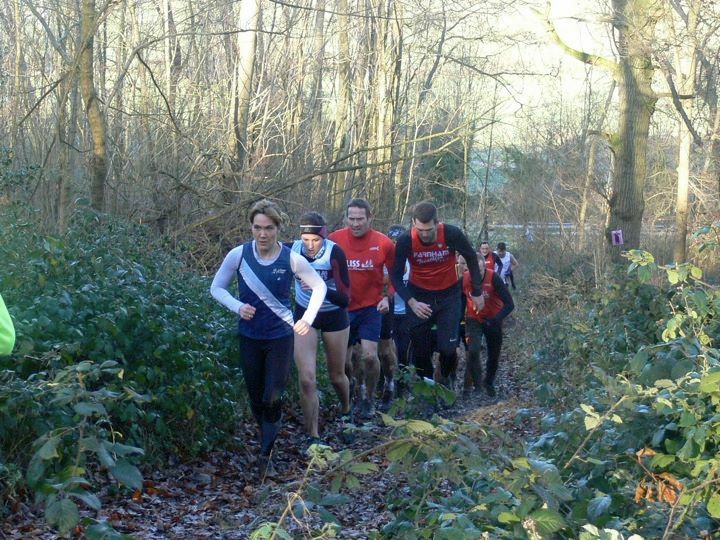 Cross country can probably be described as the “marmite of running” people either love it or hate it! For those who dislike it, this usually goes back to their early school days when running around the school fields was sometimes the only sport available when football/rugby/hockey was not an option due to bad weather. Even worse, running around the school fields was often used as a punishment (à la Michael Gove). The fans of cross country like being in the natural surroundings of open countryside, heathlands and woodlands away from the noise and pollution of traffic. Running on varied, uneven surfaces, crossing the odd stream, taking on hills and mud can certainly make running more interesting and fun. The origins of cross country running go back many years, in fact back in the 19th century it was more of a game where a runner set off leaving a trail and was chased by a pack of runners. This was referred to as either “hare and hounds” or “a paper chase”. English schools started competing in cross country races in 1837. A national championship was established on December 7, 1867 which was held on Wimbledon Common. Cross country was an Olympic discipline in 1912, 1920 and 1924. Now it is only one of the disciplines in the modern pentathlon. 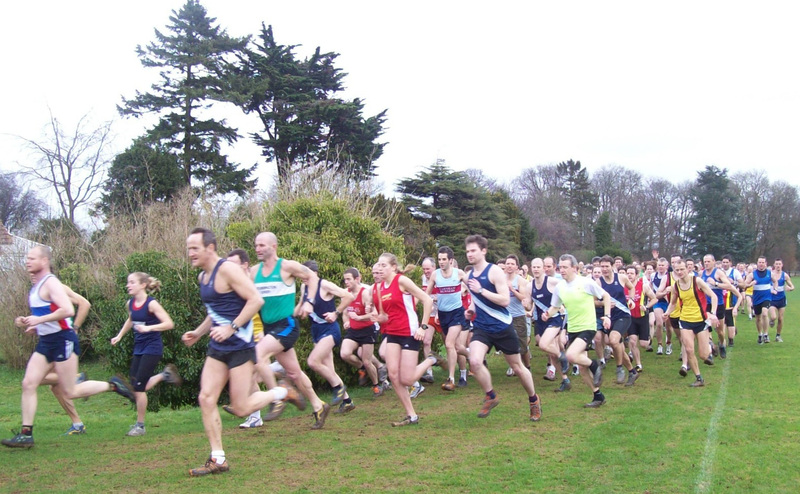 Today cross country running is on the increase and winter season cross country racing has become very popular with elite endurance runners. Also many running clubs participate in league events and there are more open races available. Numerous elite and club runners use cross country in preparation for the track season or spring marathons/half marathons. There are many benefits of cross country both from a psychological and physiological perspective. Experienced cross country runners are generally more versatile and robust as they learn to cope with uneven, varied surfaces and terrains as well as inclement weather conditions as seen during the winter months of the cross country season. 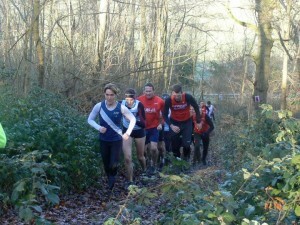 Traditional cross country courses can include woodland, heathland, fields, hills, obstacles etc. and sometimes the courses are so narrow in parts runners will be in single file. However, for major competitions the IAAF (International Association of Athletics Federations) has set standards such the course should be a minimum of 5 metres wide to enable athletes to pass one another safely. Typical distances for cross country events tend to vary from 8km to 12km in general. The only special equipment required for cross country running is the appropriate shoes. The basic choice is between spikes and non-spikes (trail/cross country) shoes. Spikes work well if the surface is guaranteed to be without any macadam areas. Otherwise a trail/cross country shoe which has a sole with rubber lugs may be the better option. These will provide sufficient grip on soft surfaces to avoid slipping and are able to cope adequately with hard surfaces such as macadam. Training for a cross country race should be specific and hence off road sessions on a similar terrain as much as possible is necessary. Including hill reps and either distance or timed intervals will provide good preparation for a cross country race. 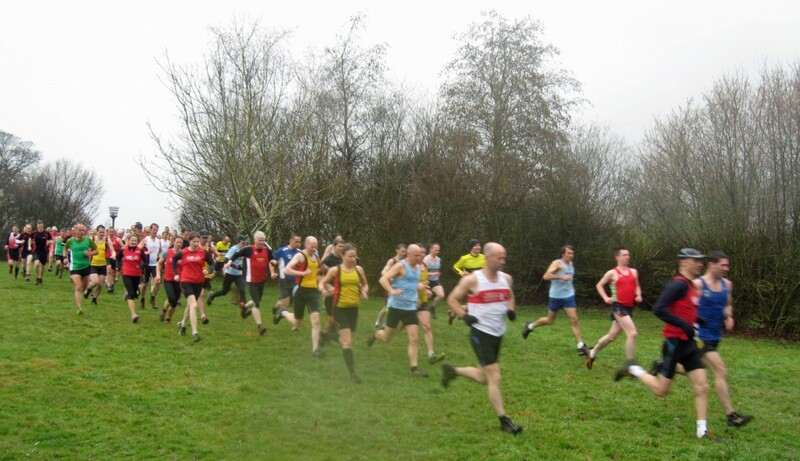 Cross-country running and racing is not run at the same speed as track or road running due to the underfoot conditions which are typically softer, slippery and uneven. This in turn requires a slightly different running technique using a shorter stride length. This needs greater leg speed which is made more difficult as there is less elastic return provided by the soft surfaces. On such surfaces much energy is lost in compressing the ground underneath and less energy is stored in the joints. This means runners bend their legs slightly more at the knees and ankles which uses more energy in straightening them. The benefit of cross country running and racing to an athlete now becomes evident. Running and racing cross-country provides tough physical training, working over a wide range of speeds covering various surfaces and terrains. More muscles are used running off-road and it gives an excellent workout for all the connective tissues in the lower body. It also helps to build and improve core strength. A cross country race will typically provide an excellent opportunity for a threshold run with a strength endurance work out included. In terms of cross country racing it requires a courageous approach; this is about running hard from the start by committing to a fast pace in the very early stages. With the typically large fields of runners, working for your position early on and then “hanging in” is often a good tactic especially on a course that narrows where overtaking becomes difficult. In summary, cross country is something for all runners to try. It may be hard, it will make you strong and the enjoyment is there to be experienced.